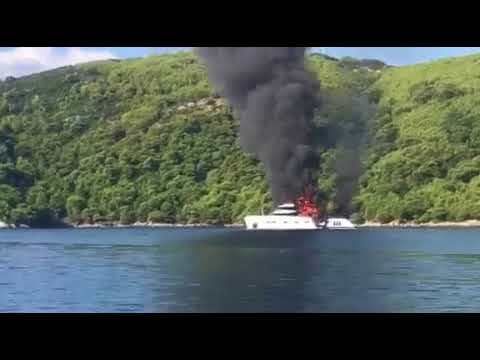 The recently delivered CCN 40 metre superyacht Kanga has been filmed on fire near Dubrovnik. Emergency services were called to the yacht at around 8.22am this morning and all 13 passengers were evacuated, according to local reports. This included nine guests and four crew members. 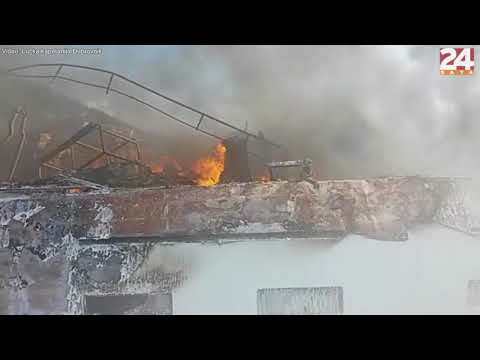 A video posted online by the Youtube channel 24sata News shows the yacht violently ablaze off the coast of Dubrovnik. Her superstructure has already been heavily damaged by the flames and it is understood her interiors have also been badly effected. Another video shows the yacht on fire from a distance. The extent of the damage or cause of the fire is not yet clear. Sold in 2015, Kanga was built to RINA standards for an American owner. She was built to accommodate 12 guests in five staterooms, including an owner’s cabin, two double rooms and two twin rooms with Pullman beds. The crew quarters meanwhile accommodated a staff of up to 11 people. The tri-deck displacement yacht featured naval architecture by Vannini-Oleggini Naval Design and a beam of nine metres.